What is more powerful and magical than becoming one with the weather around you? Since time began, those who control or can predict the weather are heralded as sacred and valuable. Weather is an intricate part of Nature and Nature is, of course, the Witch’s playground. 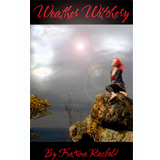 A practicing Witch of more than thirty years, best-selling author, Katrina Rasbold, walks you through all aspects of weather magic, including how to us the energy of different weather events to your greatest advantage and how to work with weather to manifest the type of weather you desire. Blasting through the naysayers and fear-mongers who insist that weather witchery is too intense for a common Witch or that “messing” with the weather only brings negative results, Katrina shows how one can easily work with the energies inherent in different weather systems and meld into the magical processes of Nature. Being a Queen is a calling, but it is one that too many women receive and do not honor. This book is for those women who need a kick in the pants to stand up and start doing the princess wave. 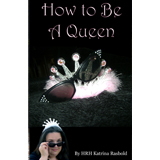 Being Queen of Your Own Life is a strong step toward owning and flaunting your authentic self and a vibrant path to creating the life you truly want to live, so get out those sequin clothes and your best tiara and let’s go to town. Tarot For Real People brings more than thirty years of experience reading the Tarot to this amazing and easily applicable handbook on how to interpret this wonderful oracle. With detailed instruction on how to develop your own interpretations to blend with the classics,Tarot For Real People delivers exactly what it promises. Real people, with or without natural intuitive powers, can begin performing effective and meaningful Tarot readings by following the instructions contained in these pages. “Katrina write as she lives her life, with warmth, laughter and an intelligence that can’t be denied. 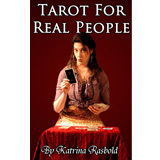 Tarot for Real People reads with simple, yet profound ideas on Tarot and life in general. To follow her instruction is to be lead through a deck of self-awareness, awareness of those around us and the world as a whole. I love this book! !” …Tammy C.
Spiritual Childbirth explores the reclaiming of the power of childbirth by women as their own birthright; a process that began in the 1960s, advanced in the 1980s, and continues through the current time. As women begin once again to take charge of their own pregnancies and labors, it is natural for their minds to turn to matters of spirit since birth is itself a very spiritual experience once the medical filter is pulled away. Many women are seeking to educate themselves beyond the physiological aspects of birth and to learn how their spirits and emotions come into play during pregnancy, labor, and delivery. 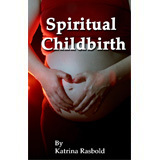 Spiritual Childbirth covers not only physiological occurrences of the birthing process and routine medical procedures, but also explores the realms of the spirit and gives thoughtful homage to the inner working of the female mind and soul during this formative and unique experience. 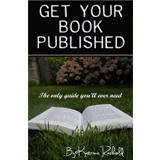 Get Your Book Published is the essential “How-to” guide of taking your work and putting it into the best format using MS Word or Open Office software for Kindle readers and the Create Space print on demand press. This book will save you countless hours of frustration, trial and error in this editing process. To often, excellent works of art are diminished behind a shadow of amateurish formatting and poor cover design. Don’t give your art up to the same fate. “Like many others, I would love to write books and be published. Watching friends and family struggle to get their books published had discouraged me from believing this was a possibility. Then I noticed several friends were self publishing. I was immediately interested, but at a loss as how to accomplish this task. Just this past week I was discussing this very topic with a friend, ready to start pestering any and all self-published acquaintances to share their experience. In perfect timing, I discovered this gem of a book. And as someone that has limited computer knowledge, I was beyond thrilled to discover this book contains pictures(!) with highlighting(!) walking me through the process step by step. 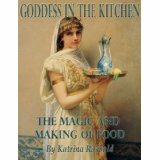 I will be recommending this ebook to all my friends and family that write and long to be published and hopefully using this guide to publishing my own work.” …Alicia C.
Katrina explores the energy that we put into food as it is prepared and served and how that affects the people who eat it. Over seventy-five recipes from her own personal collection are included. 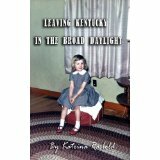 Leaving Kentucky in the Broad Daylight details Katrina’s life growing up in rural Kentucky in the 1960-1970s. Her lively and eccentric family adventures will make you laugh and cry in the same moment. Not always fun, but never boring, growing up in the Chapman family was always an adventure. Too often Pagan leaders feel that they are alone and that no one understands the stresses involved with leading a group of people while you are trying to go through your own life lessons at the same time. This book is not specifically a “how to” manual, but more of an “I get it. I hear you.” hug. 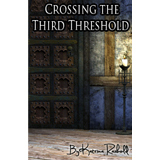 In addition to a number of musings about the joys and sorrows of passing beyond third level/degree, this book also includes excerpts from the author’s own book of shadows. 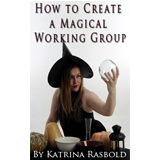 This booklet gives thoughtful consideration for those who wish to form a magical group. In addition to helpful guidelines, an extensive set of sample by-laws is included.